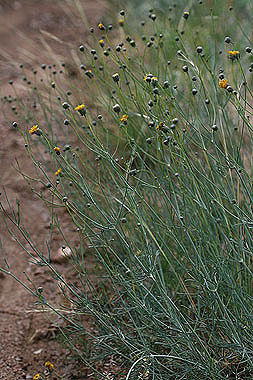 Hopi Tea Greenthread is a spindly plant with threadlike leaves. 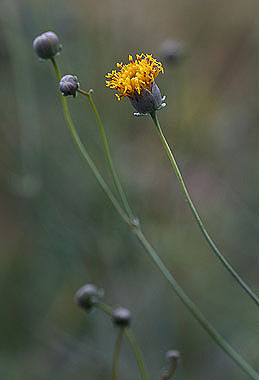 Flower heads usually have disk flowers only and are held upright or drooping. 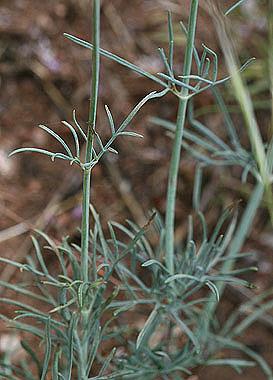 Plants are 12 to 30 inches tall, often leaning as if unable to support their own weight. This is a common species on dry sites.